I was eating out in NE Portland recently, and while the food was good, the lighting made much more of an impression. The row of individual bulbs that hung overhead were like nothing I’d seen before. 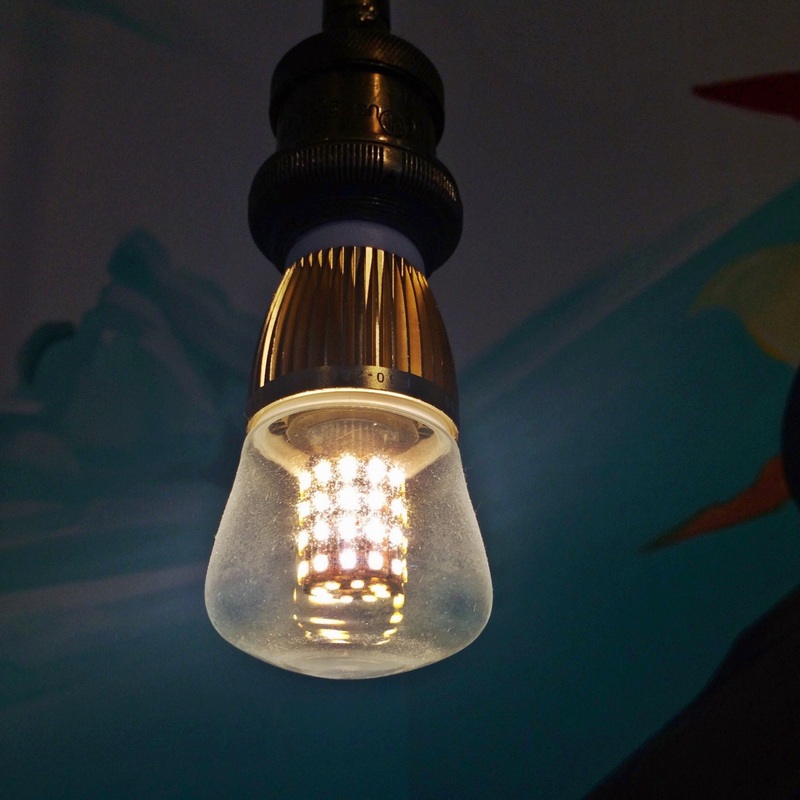 They looked like a modern take on an edison bulb and were glowy and perfectly suited to their exposed fixtures. Let the sales come to you. Friends, I have a little secret for you. It’s called PoachIt. And it’s kind of brilliant. 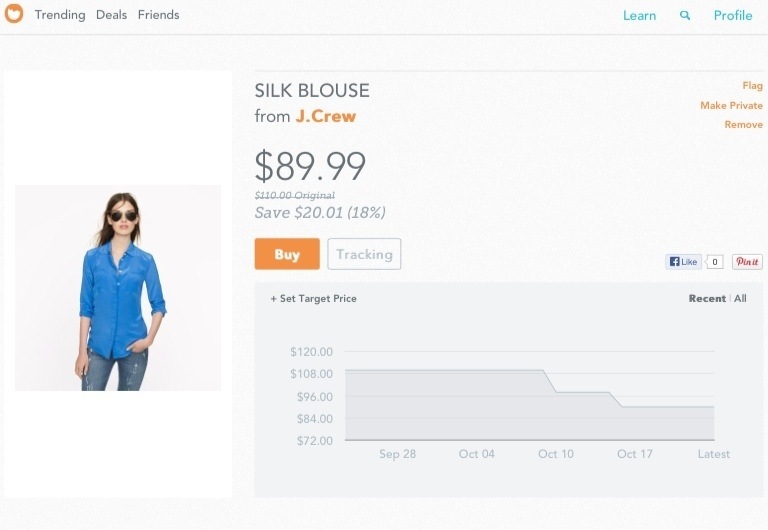 You select things that you like that are for sale online (like the J.Crew silk blouse I wrote about here). PoachIt tracks their prices and sends you an email when they drop. HIGH TECH: Paperless Post offers a stylish and efficient way to make sure you have addresses for all of your family and friends. Select an address collection card and send it by email (for free). Your loved ones reply and their addresses are saved to your Paperless Post address book. Now you’re ready to send any of their well-designed holiday greetings, party invites, save the date cards, etc. with a few quick clicks. Despite the name, you can send their cards by email or through the mail. LOW TECH: Sometimes there’s nothing like putting pencil to paper. 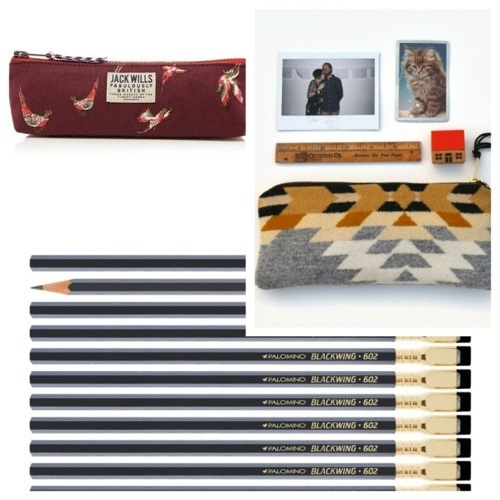 And Blackwing writing and drawing pencils are the best– the stuff of pencil legend. Plus, they’re as nice to look at as they are to use. Choose your favorite (Palomino, 602, or Pearl) and then stow them in a chic pencil case. I’m having a hard time choosing between the smartly printed Galsford from Jack Wills and the Pendleton Wool Nevilyn from Sea Echo.